Traditional greek village of Oia at dusk, Santorini island, Greece. Photo of Traditional greek village of Oia, Santorini island, Greece. 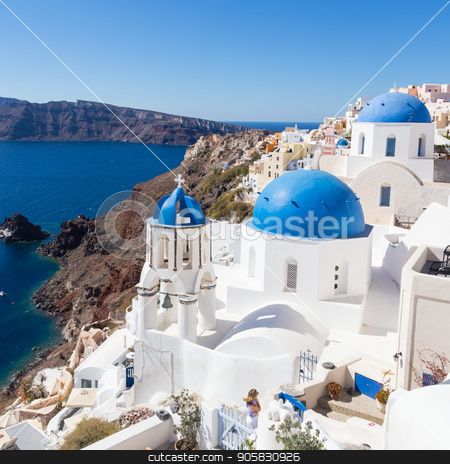 Cityscape of Oia, traditional greek village with blue domes of churches, Santorini island, Greece.